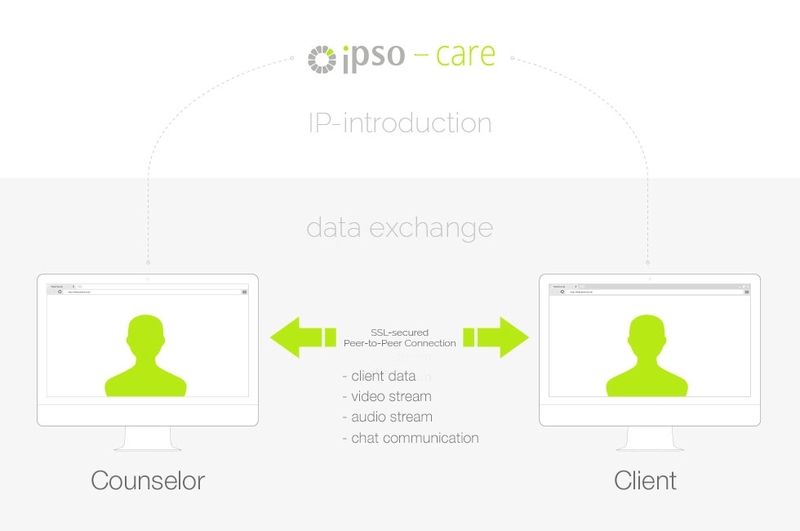 Ipso-care establishes a direct communication between the participating parties (counselor and client). During this so called Peer-to-Peer (P2P) connection, video- and audio-stream are transmitted directly between the two browsers (computer-to-computer) - no need for server interaction. A server is only necessary, to introduce the two browsers (in this case the IP adresses of counselor and client) to initiate a consultation. Everything else works without the involvement of a streaming server.